Every genre of music has its own negative stereotypes attached to it. Fans of classical music are pretentious, those of rock are head-banging jocks and pop music is profit-driven garbage. While these stereotypes are typically false, they still haunt their respective genres, subjecting fans and artists to ridicule. 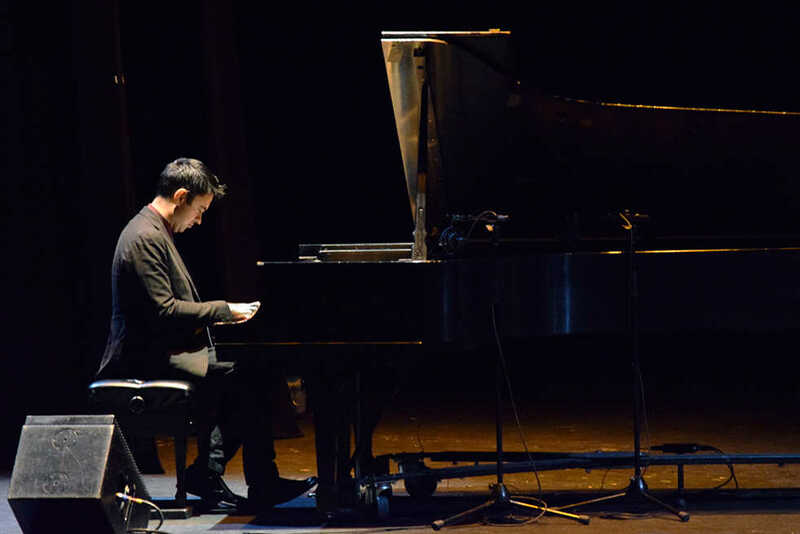 On Feb. 17, the Vijay Iyer Trio gave a performance at the Ferst Center which confirmed this characterization of jazz. The group consists of composer-pianist Vijay Iyer, bassist Stephan Crump and drummer Tyshawn Sorey. The titular frontman of the trio, Vijay Iyer, is considered among the leading composers and pianists in the jazz community. He has earned a Grammy nomination for Best Instrumental Jazz Album for the trio’s 2009 album “Historicity,” as well as a MacArthur Fellowship and a professorship at Harvard University for lifelong achievement as a composer. Iyer’s playing was smooth and balanced, fluctuating throughout each song in tempo and intensity and setting the pace for the entire band throughout the performance. The respected frontman’s songwriting skills were on full display during the show, as the group samples different songs from his repertoire, which demonstrates his ability to write songs of varying tones and structures. Iyer’s songs exhibit a diverse array of styles and sounds, yet every song is characterized by a complexity that probably comes from the classical violin training the composer received as a child. While the performance was defined by Iyer’s songwriting and playing styles, the frontman’s greatest quality is his humble readiness to share the stage with his bandmates. Iyer was generous with the performance space, locating his piano far to the side of the stage and allowing Crump and Sorey to take center stage, both musically and physically, for much of the show. During the show, Sorey displayed his passion and musical skill with the intensity of his drumming and with the innovation he employed to extract unique and fascinating sounds from his drum set. The drummer performed exciting and spectacular drum solos that drew applause and standing ovations from the audience. When he was not awing the crowd with his quick strokes, he was tapping his fingers on the snare drum or striking the upturned edge of his cymbals to draw beautiful and original sounds out of his set. If anything, Sorey’s playing took center stage too forcefully. Drum solos were frequent and long during the performance, and even in the breaks between these solos, Sorey’s playing often drowned out Crump and Iyer, throwing the group’s sound out of balance and keeping the other artists from showing off their performance abilities. While in this sense, Sorey’s intensity supplied the show’s only disappointment, the drummer’s personality and passion were still a highlight of the performance. This passion and commitment to the music is what unites the Vijay Iyer Trio into one body. All three musicians share the appearance of men who do what they do simply because they love doing it. It is this passion that makes jazz the most human musical genre. Like Vijay Iyer and his group, most jazz musicians are not in it to make money. If they were, they would be making radio-friendly pop tunes. Instead, jazz is written and played by those who wish only to make beautiful music that connects audiences to artists.